If you’re carrying too much stress you could be at risk of having heart problems and/or other illnesses and diseases. It’s absolutely important that you know some meditation techniques to help reduce your overall stress levels. Did you know that meditation is not JUST about sitting cross-legged on a soft cushiony pillow? Meditation can be integrated into every moment of your life so you feel more fulfilled and satisfied. In this ONLINE MEDITATION COURSE we’ll explore a variety of interesting styles of meditation so you can find the BEST-FIT MEDITATION routine that is perfect for your personality and lifestyle. I invite you to come on an exciting journey of meditation and I’ll show you how meditation can positively improve your life, reduce illness and dis-ease and bring you a peaceful state of mind. There’s a 30 DAY MONEY BACK GUARANTEE so you have peace of mind and can buy the course now! This comprehensive Meditation for Every Moment Online Course – CLICK HERE FOR YOUR DISCOUNT will help you deeply love yourself, heal your heart, get rid of emotional baggage, reduce anxiety and melt away muscle tension, increase happiness and satisfaction and overall enrich your life to better living. 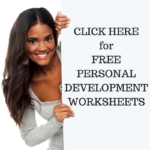 It’s an excellent personal development and personal transformation tool! AND, you’ll also receive BONUS MP3 MEDITATION DOWNLOADS. AND, a bonus LAUGHTER YOGA VIDEO! It really is a full course and you’re definitely getting a great value! ENROL NOW! This DISCOUNT IS ONLY AVAILABLE for a limited time. This entry was posted in Personal Development Resources and tagged meditation, personal development, reduce stress, self improvement. Bookmark the permalink. Next Post: Are You Working Against Yourself?